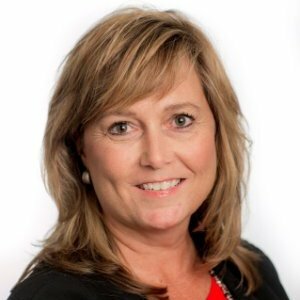 Wendi Knapke joins our Raleigh office as a Senior Consultant on our Finance and Advisory team. During the past year, Wendi has been providing accounting and fractional Controller services to family-owned businesses. Prior to that, she was the Vice President of Finance and Operations for a non-profit education consulting company. Her experience crosses multiple functional areas of a business, such as accounting, grant management, A-133 compliance, finance, human resources, budgeting and forecasting, and general office management. Wendi began her career at Ernst & Young where she spent 10 years before leaving to pursue industry experience. She later returned, but has found through her work experience, that she is drawn to client service. During her career, she has gained the most experience in the non-profit and healthcare industries. Wendi graduated with a Bachelor of Science degree in Accounting from Wright State University in Dayton, Ohio. She was raised in Lucasville, a very small town in Ohio where sports and school-related activities were what life was all about, but Cary, North Carolina, has been her home for nearly 19 years. Her husband Dan is also an accountant. Her daughter, Paige is a freshman at Elon University with plans to be an elementary school teacher. Her son, Mitchell is a sophomore at Green Hope High School. Wendi spends her spare time growing her real estate company, 3F Property Investors, which wholesales and flips houses. In addition, she loves refurbishing things, design and decorating, and anything related to the beach.